If you are a parent living in Quebec, by using this Quebec child support calculator you will get an idea of the base amount of child support that might have to be paid on a monthly basis. It is important to note that the number can vary depending on whether both parents live in the province, or if one lives outside the province. To use this Quebec child support calculator, simply select which of the situations might apply to you, whether one parent lives in Quebec or if both parents live in the province. Then enter the gross income of the parent who will be potentially paying that child support. From the drop-down menu then you need to select the number of children you have. 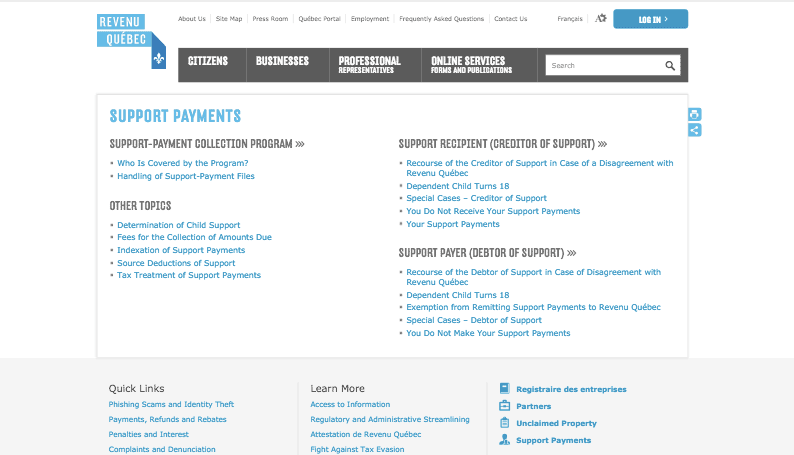 Once you hit calculate, the child support calculator, Quebec will then generate a base amount of child support payable per month based on your situation. The Quebec Child Support Guidelines give more specifics related to what the parents are required to claim as income for support purposes, and specifically states what are defined as additional expenses that are considered as allowable. The guidelines are set out to ensure that both parents maintain their financial responsibility in contributing to the costs of raising their children while balancing fairness for all residents. 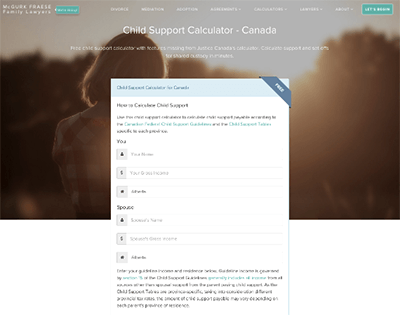 This Quebec child support calculator is here for information purposes only and by any means is not intended to replace the advice of legal counsel. 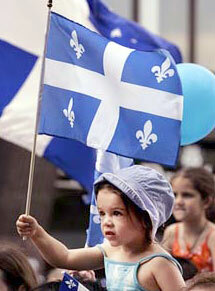 For clarification of the Quebec child support guidelines or on any Quebec family law matters, contact a lawyer. You could also contact the Court of Quebec in your area as they may be able to provide some direction. This child support calculator can calculate child support for couples with shared or split parenting arrangements. 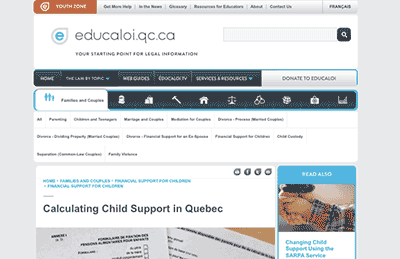 Educaloi, Quebec's legal information and education organization, offers this guide to calculating child support in Quebec. Revenu Quebec assists with the collection of child support payments and other support payments in the Province of Quebec.